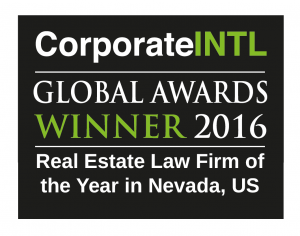 The law firm of Clarkson & Associates, LLC, has won two 2016 Corporate INTL Magazine Awards for “Business Transactions Law Firm of the Year” and “Real Estate Law Firm of the Year,” both for the state of Nevada. 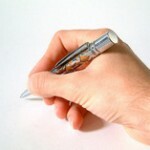 Corporate INTL magazine’s awards promote leading firms in their chosen specialisms throughout the world. 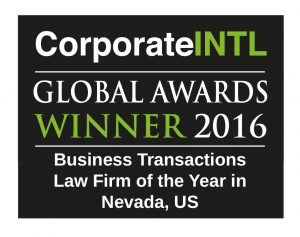 As Corporate INTL magazine is read by business leaders, investors and advisers globally it’s a huge accolade for those firms that are awarded as winners in their specific categories.